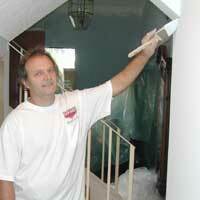 Free Estimate Request  As us to take a look at your property and give you a free painting estimate. Electronic Bulletins  Sign up for email notices about painting news specific to southern Orange County. Why you should click on one of the online forms on the left. Spam is the scourge of the internet. We have had to build ever tougher filters to keep the stuff out. Unfortunately, this sometimes causes legitimate email to us to get trashed. Your message sent with one of the online forms at left always gets through. We have a policy of responding to every form with a personal message. We will not ignore you!